Police on I-20 Wreck: "A Seat Belt Could Have Saved Her." GRAND PRAIRIE, Texas - At around 11 p.m. Thursday, a woman was killed in a wreck on Interstate 20 in Grand Prairie. According to police, one car side swiped another, pushing the first vehicle off of the highway. The driver, a 21-year-old woman, wasn't wearing a seat belt and was thrown from her car and killed. The driver of the other car sustained injuries that are not thought to be life-threatening. Police say the woman would have survived the crash if she had been wearing her seat belt. Is it illegal to drive in Texas without wearing a seat belt? 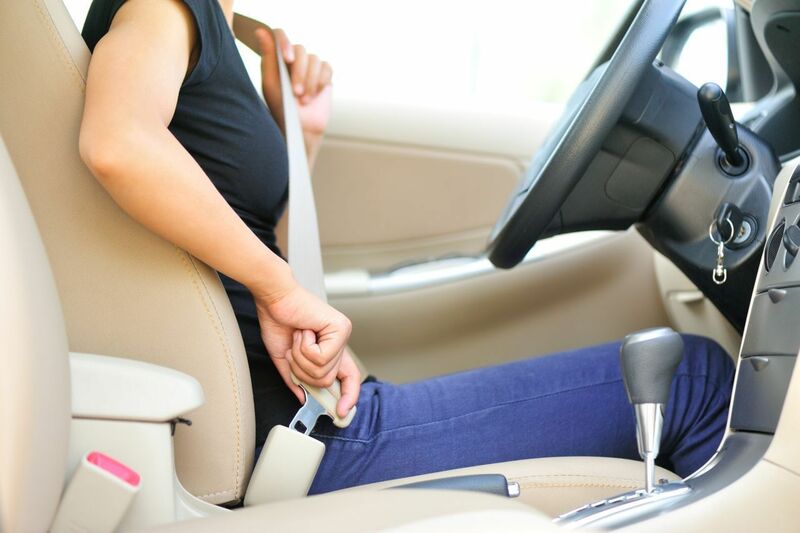 Like every state except for New Hampshire, Texas law requires that all drivers and passengers wear a seat belt. Under the statute, the driver is responsible for making sure all passengers put on their seatbelts. What happens if I don't wear a seat belt? Aside from getting a fine and potentially appearing before a judge, you're putting your life at risk every time you drive without wearing your seat belt. According to the National Highway Safety Administration, you're 45 percent more likely to survive a bad wreck if you buckle up. That's huge. Why would anyone not wear a seat belt? I'm a good driver and I've never been in a wreck, so I don't need to wear a seat belt. I'm strong and I can brace myself against my steering wheel in a crash. I'm safer not wearing a seat belt since it can trap me in my car if it's on fire or under water. My car has airbags so I don't need a seat belt. Being a good driver isn't enough. You can't control the actions of those around you. Multiply your weight by the speed you're traveling to discover how strong you'd have to be to brace yourself against your steering wheel in a wreck. For instance, a 150 pound person going 35 mph would need to exert 5,250 pounds of force! Are you Superman? Then you should buckle up. Only .005 percent of crashes actually involve either fire or water. Airbags are more effective when used in conjunction with a seat belt. It's the law for a reason. Stay safe and buckle up!